Why is it worthwhile to read this blog? dr Tomasz Makaruk is the President of the Board and the co-owner of the Company i360, that specializes in the organization and management of B2C loyalty programs, B2C motivational programs and sales promotions (bonus sales, promotional lotteries, audiotex, competitions, etc.). i360 Sp. z.o.o. has experience in creating, managing, re-engineering, combining and closing of loyalty programs. The company has been recognized six times* as the leader in the category “Has the skills to effectively organize loyalty programs” in the years 2017, 2016, 2015, 2013, 2012, 2011 by MB SMG/KRC in a nationwide study conducted among marketers – organizers of loyalty programs. i360 Sp. z.o.o. is the Diamond Forbes (2018, 2017) and the Business Gazelle (2017). The company has also been recognized by the official legal newspaper Dziennik Gazeta Prawna as the SuperHero of small- and middle-sized companies (2014) and as the fastest growing company in the province of Mazowiecki (2013). i360 Sp. z.o.o. is an entity that provides loyalty management services and, related to this, the organization of sales promotions, that has the ISO/IEC 27001:2013 certificate which ensures the highest world standards regarding management safety and information processing, what has been confirmed by a series of TUV Rheinland audits. Author of the PhD thesis defended at the Warsaw School of Economics dedicated to sales promotions. He finished “Leading Professional Service Firms” at the Harvard Business School Executive Education. 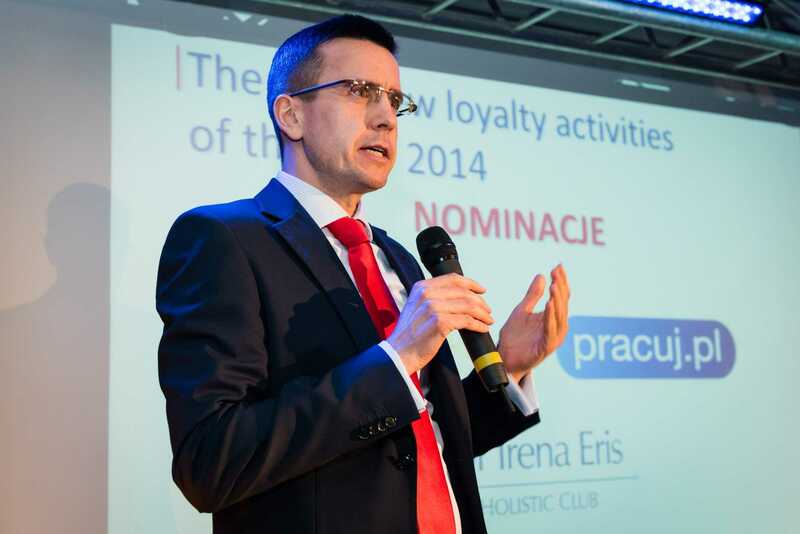 Author of many publications and speeches dedicated to loyalty programs and sales promotion. *Source: Study conducted by Millward Brown SMG/KRC, published in the Report Special Integrated Marketing Agencies (Media&Marketing Poland, 07-08/2011 (398), 06/2012 (408), 06/2013 (418), 07-08/2015, 06/2016, 07-08/2017). Join the readership of 4,8 thousand permanent blog readers today. Every month, you will receive a summary of the publications. No publicity. I do not tolerate them myself on my email inbox. Only highly specialized industry knowledge, for people who are professionally dealing with loyalty and sales promotions. Everyone who shares their e-mail address, will receive a publicly unavailable ebook entitled "Checklist - how to organize a lottery not forgetting any obligations required by the law and common sense". My name is Tomasz Makaruk, I am an economist from graduation. On the blog I describe the most interesting and the most difficult issues, which I encounter daily when creating and leading loyalty programs and promotional and audiotex lotteries. I share only specific, deep analysis, that I trust will be useful for you in your professional work. Hello, My name is Tomasz Makaruk, I am an economist from graduation. On the blog I describe the most interesting and the most difficult issues, which I encounter daily when creating and leading loyalty programs and promotional and audiotex lotteries. I share only specific, deep analysis, that I trust will be useful for you in your professional work. Join the readership of 4,8 thousand permanent blog readers today. Every month, you will receive a summary of the publications. No publicity. I do not tolerate them myself on my email inbox. Only highly specialized industry knowledge, for people who are professionally dealing with loyalty and sales promotions. Everyone who shares their e-mail address, will receive a publicly unavailable ebook entitled “Checklist – how to organize a lottery not forgetting any obligations required by the law and common sense”.